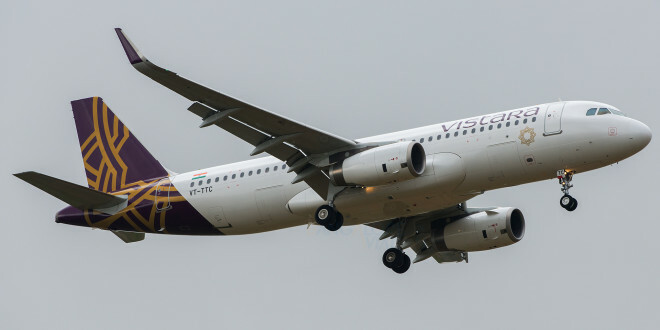 Home >> Airlines >> Vistara (Tata-SIA) >> Vistara to re-configure aircraft? Revisiting strategy due to 60 crore loss? 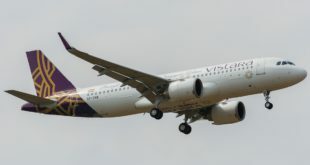 The Tata Singapore Airlines joint venture airline Vistara will be re-configuring its Airbus A320 aircraft going forward in an effort to stem losses. 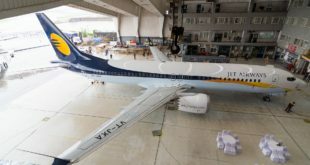 The re-configuration could happen as early as this month when the airline’s seventh A320 is delivered. Vistara A320 Business Class cabin. 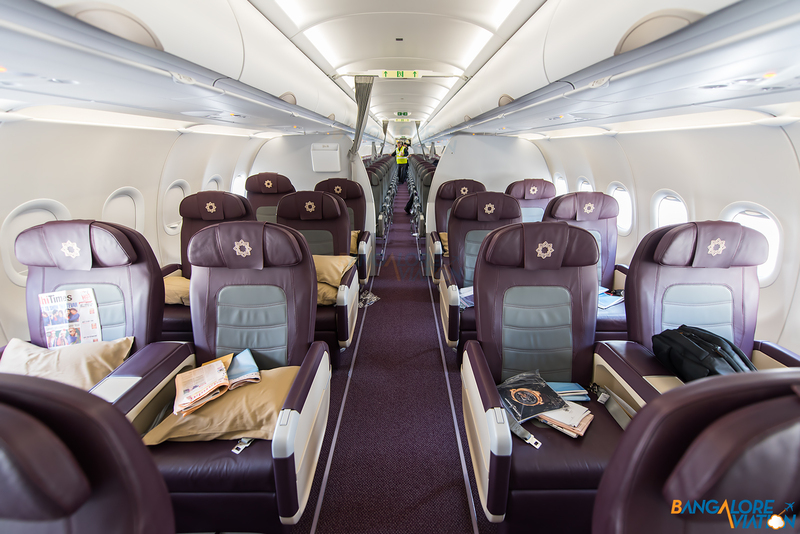 The airline’s six A320s currently have 16/36/96 seats in business, premium economy and economy class. Though Vistara has not provided any details, industry experts feel the airline will reduce the premium classes to increase economy class seating. The new configuration is expected to be 8/18/128. It is also unclear whether the re-configuration will be retro-fitted on to the existing fleet, though it is not immediately likely. An industry analyst estimates Vistara suffered a loss of about Rs 1,200 per passenger it flew. 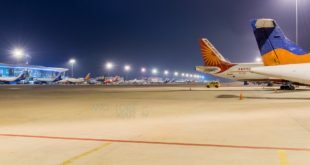 The analyst aggregating the airline suffered total loss of around Rs 600 million and has flow a little over 0.5 million passengers. Clearly Vistara has wrongly judged the premium the price sensitive Indian passenger is willing to pay for domestic services. 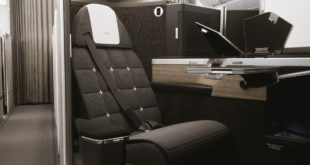 The much touted premium economy class is a dual edged sword. Admittedly Vistara is the only airline offering this class on domestic routes, however, as industry inputs seem to suggest, Vistara in a way is cannibalising its business class as many business travellers choose premium economy class instead. With a growing uncertainty about Indian economic reforms and the slowing global economy filling the high priced business class is a significant challenge. 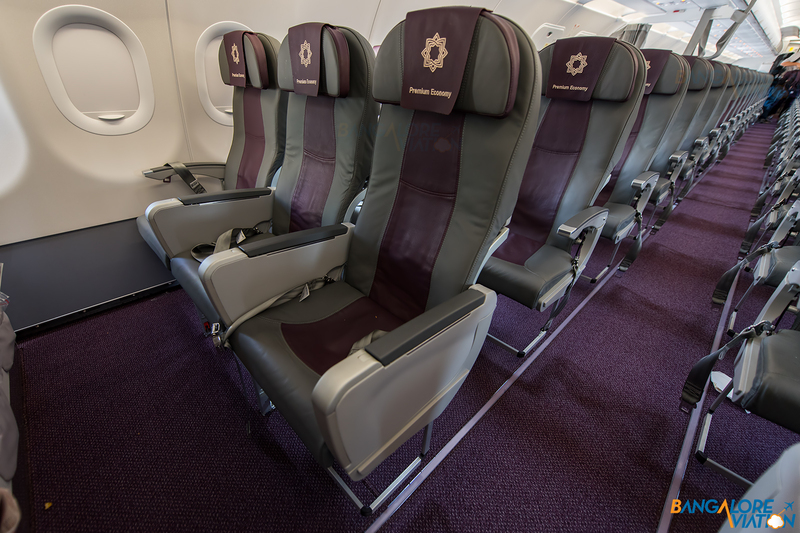 Tata-SIA Airlines Vistara A320 premium economy class cabin. The lack of broad network of business destinations with services at convenient timings adds to the challenge, and this is reflected by the extremely low passenger load factors. The airline appears to be relying on value added services like Wi-Fi on aircraft. This will provide sustainable competitive advantage to Vistara, but it is not likely to generate adequate monetary returns. Readers will recall, six months ago, I had written a satirical article about Vistara acquiring GoAir. That fantasy seems to be finding roots in reality. In the six months since the article, key developments I had presumed, have come true. De Roni has quit GoAir which is now floundering financially. Now that Vistara is realising its high price, high service model needs a tweak, do you feel this is a key moment for Vistara to re-consider what was once satirical thought, and acquire GoAir?